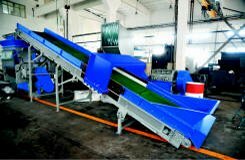 ZERMA offers a large variety of conveyor belts, either as feeding belts for shredders and granulators, or as discharge belts to move material from the first step of shredding to a granulator in a two step recycling process. All belts are built very sturdy and feature standard options such as a corrugated side wall further they can be equipped with a metal or magnetic free zone for the installation of a metal detector of cross belt magnet. 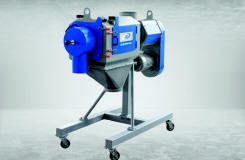 ZERMA offers a complete program of suction systems to discharge material from the machines. These systems include blowers, piping, cyclones and bag filling stations. 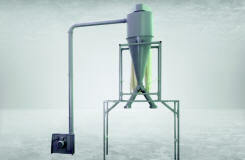 Additionally we offer separation equipment to separate fines from the material flow. All blower systems can be equipped with components manufactured from highly wear resistant steels for use in abrasive applications. In order to create the best output material it is important to make sure the material is free from contamination such as metal. ZERMA offers a wide range of products to detect and remove various kinds of metal contamination. This ranges from magnets used to separate ferrous metals to all metal detectors and separators to detect and separate all kinds of metal contaminants from the material stream. It is always important to achieve a well defined output size. 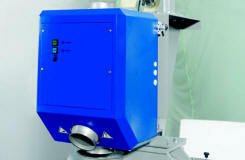 ZERMA offers a range of screening solutions for different materials and throughputs. Due to its� small size the ZERMA rotary screening machine is well suited to be integrated into PM Pulverizer setups especially in roto-moulding applications. The conventional horizontal screening machines offer a higher throughput and the possibility to classify different material sizes. To increase the throughput of the ZERMA GSH granulators when used with loose materials such as bottles, we developed the force feeding system. This system forces the feeding material into the cutting chamber and avoids the common problem of material �dancing� on the rotor. Adding one of these force feeders increase the throughput greatly. 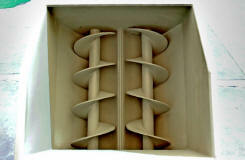 The force feeders are available in two basic designs: Screw and paddle type.